Photographed on December 6, 2018  (Protect kitten ~ 3 months). At the time of protection (September 6, 2018), just three months have passed since I greeted an abandoned cat (Pepo ) who was estimated 2 months after birth to our house. It rarely cried (Pepo ), but since it began this month, it began to crow frequently while rubbing the body against the floor, and it seems that the estrus period came as early as possible! 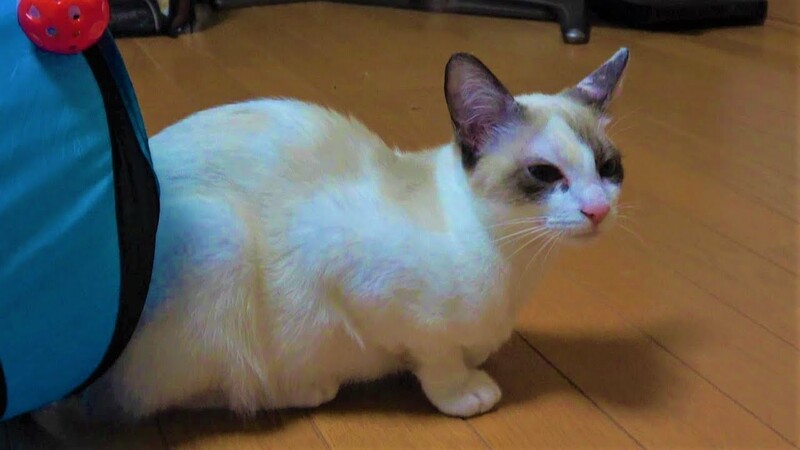 By the way, the same symptoms were seen at the time of the indigenous cat (Shamue ), the same symptom was seen in about 7 months after birth, but as soon as this symptom appeared to the small kitty pet (Pepo ), this symptom appeared a bit I am surprised. Thank you very much for everyone who has subscribed to purchase 【CuteWoo: 2019 Wall Calendar】 of this channel. The number (number of copies) you received for purchase is very small and a small number, but I am very thankful. Currently still ongoing sale so people who have not yet purchased, by all means thanking you in advance. ※ The calendar installation photograph is carrying the photograph from my childhood to recently of Siamese cat (Siamue ) of our house.